Rottentail - Coming to select theaters April, 2019! Geeky fertility researcher, Peter Cotton, is bitten by a mutant rabbit and changes into the half-man/half-bunny Rottentail. What's a boy to do? Why, take a hippity-hoppity trip home of course! Peter begins a bloody killing spree of revenge that culminates in his childhood hometown of Easter Falls. COMING TO SELECT THEATERS APRIL, 2019! See theater events below! The Skibavision film comes to Michigan! Emagine Royal Oak, 200 North Main Street, Royal Oak, MI 48067. This premiere is an invitation-only event, except for 50 members of the public that will be let in to the premiere, free of charge. We encourage you to show up and be amongst the 50! Director Brian Skiba, actress Laurie Love, Writer, Producers, and Soundtrack Artists will be in attendance! 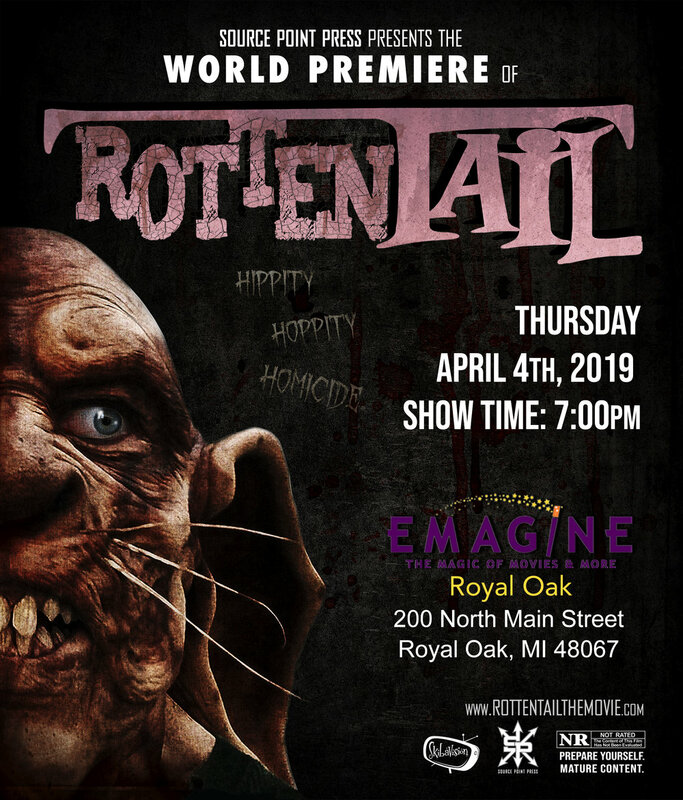 Los Angeles, CA: ROTTENTAIL WEST COAST WORLD PREMIERE - April 11th, 2019. Red Carpet: 6:30pm Show Time: 7:30PM. This premiere is an invitation-only event. Director Brian Skiba, star Corin Nemec, Cast, Crew, and Producers will be in attendance! Friday April 12th, 2019. 10:00PM. Director Brian Skiba and actress Laurie Love will be in attendance! Friday April 26th, 2019. 9:30PM. Saturday April 27th, 2019. 5:00PM. Friday April 12th, 2019. 4:00PM. Friday April 12th, 2019. 9:00PM Creator and writer David C. Hayes will be in attendance! Saturday April 13th, 2019. 9:00PM Creator and writer David C. Hayes will be in attendance! Saturday April 13th, 2019. Director Brian Skiba will be in attendance! 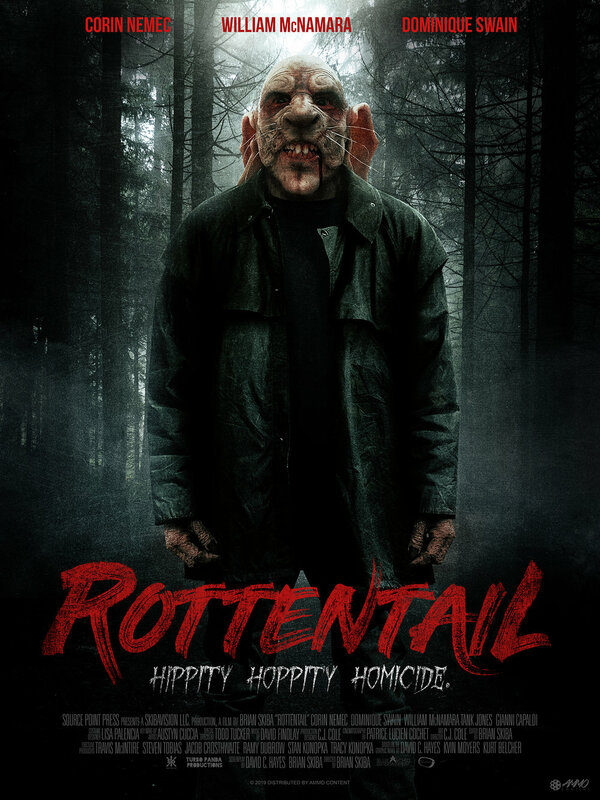 Check back for more opportunities to see Rottentail, coming soon!